Daniella is one of our new designs that is crafted by popular demand. 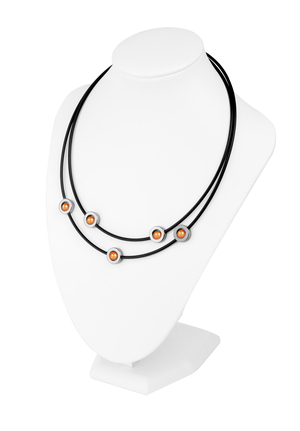 This striking necklace is crafted of Swedish Hematite and the colored beads add that little something special. The cord is made of black rubber and the clasp is stainless steel.